The Greenguard Environmental Institute, or GEI, is an industry-independent, third-party, non-profit organization and offers three product certification programs and one building certification program. The Greenguard Environmental Institute was established by Air Quality Sciences, Inc, which is an indoor air quality firm, in June 2001, and acquired by UL Environment in 2011. Greenguard Certification is recognized and accepted by sustainable building programs and in building codes worldwide. The air indoors is two to five times more polluted than outside air, Greenguard.org says. What's dirtying up that air? 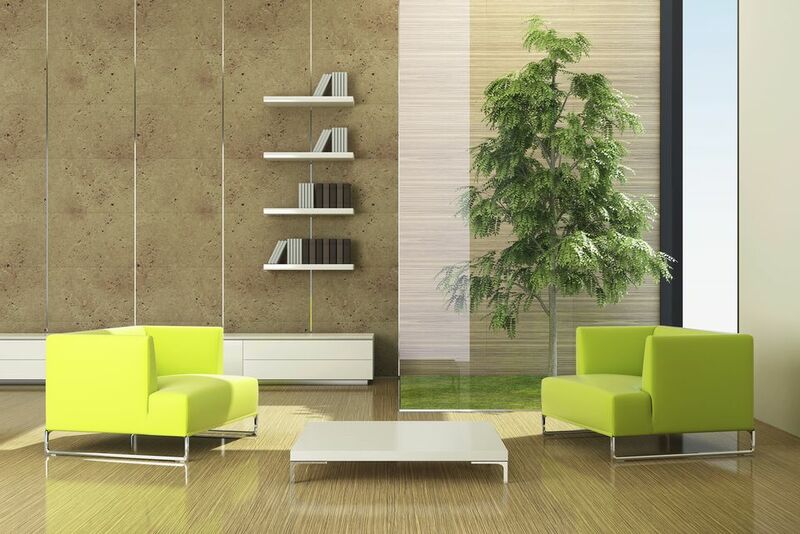 Airborne chemicals from furniture and building materials and mold. Poor ventilation just adds to the problem. When a product bears Greenguard certification it means that it is designed for indoor spaces in such a way that it meets strict chemical emissions limits and has been tested for more than 10,000 chemicals, Greenguard says. These products have the backing of this third-party organization based on empirical scientific data. The idea is to produce healthier interiors free from harmful emissions. Companies that have Greenguard certification can claim greater credibility when they make sustainability claims. The Greenguard Indoor Air Quality Certification Program identifies low-emitting materials, finishes, and products for indoor environments. To achieve this certification, products must meet field-validated and performance-based standards, and for products and materials to qualify, they must demonstrate the use of low chemical and particle emissions for indoor use. But that is not enough. To maintain Greenguard certification, all products are then required to be tested annually for more than 10,000 individual volatile organic compounds, or VOCs. The certification process is not just for furniture and other interior products. Architects, builders, designers and specifiers identify products and materials that must also meet stringent standards for chemical emissions when looking for a Greenguard certification logo. More than 200 manufacturers voluntarily participate in the program, and more than 200,000 products are represented in the Greenguard program. To find products that have been certified, go to Greenguard's website. In 2005, the institute also developed a new standard and product certification for daycare, K-12 and healthcare facilities. This is an extension of the Greenguard Indoor Air Quality Certification Program. Asthma, allergies, and headaches can be caused by exposure to VOCs, and improving the air quality in schools, day care centers and healthcare facilities has been found to have a positive impact on children's health, attendance, productivity, and test scores. These VOCs are a result of chemical emissions from furniture, construction materials and cleaning supplies in schools. Called the Greenguard Children and Schools Certification Program, it was developed by evaluating chemical sensitivities of children, along with unique building characteristics of schools. It presents the most stringent product emissions criteria to date for low-emitting materials.